MENGO – Express FC will have to negotiate past fellow StarTimes Uganda Premier League side, Bright Stars if they are to play in the 2019 Uganda Cup finals. This was confirmed on Wednesday, April 10th, at the semi finals’ draw conducted at FUFA House in Mengo. Express who have not won the Cup since beating KCCA FC on penalties back in 2007 are craving for silverware especially after changing top management last year. The last time they won something was in 2012 when they won the Uganda Premier League, but 7 years down the road, it feels like ages ago. To get to this stage, Express eliminated Paidha (Bye), Police (penalties), Water (2-1) and Bul (1-0). It will not be the draw Express hoped for as Bright Stars is the only remaining top tier side with the other two (Kyetume and Proline), playing in the Big League. It is expected to be a tough tie for both sides as Bright Stars who have already eliminated Kazo Excel, URA FC, Bumate and Nebbi Central, are also eyeing a first ever Uganda Cup crown. The first leg of the tie will be played at the Betway Mutessa II Stadium in Wankulukuku between 24th and 28th of April while the return leg happens a week later in Mwerere. The other semifinal sees Kyetume take on fellow Big League side Proline. Kyetume will host Proline at Nakisunga Ssaza play ground in the first leg. 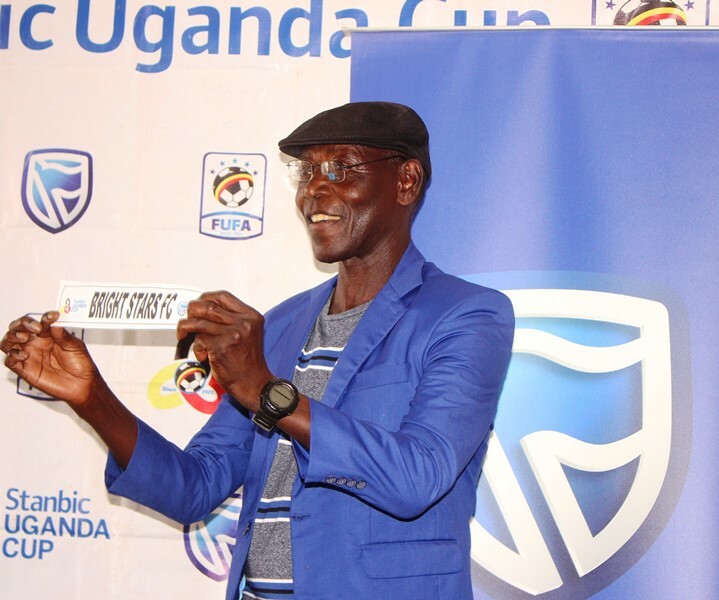 Proline head coach Shafik Bisaso and Kyetume CEO Henry Kayondo were present to witness the draw first hand. “The draw is fair, said Bisaso after the draw. “Like the rules suggest, the winner with most goals will progress to the finals. “We shall give our best over the two legs. To get here, Kyetume eliminated Wakiso Giants on penalties while Proline defeated Vipers 2-1 at Lugogo. The venue for final of this year’s Stanbic Uganda Cup has been confirmed as Masaka Recreational Stadium, hosted by Buganda Region.